The YouTube video is titled: “2017 Acura NSX: The Slowest Supercar in the World?” Sure, it’s a clever headline to get people clicking, but this video is actually worth the watch. However, just to clarify, they’re NOT referring to 0-60 times or the actual speed of the new NSX, rather it was a jab at Acura for taking so long to produce a successor to the original NSX. The video itself is just over 13-minutes long, and is one of the most comprehensive and visually inspiring reviews on the 2017 NSX to date. Ignition host Jason Cammisa starts off with a nice intro of the original NSX and then transitions into the development process of the second generation NSX. There’s even an explanation on torque-vectoring, wheel chair and all. Cammisa goes on to describe what he likes and dislikes about the new NSX, and you’ll soon find that he doesn’t hold back on his criticism. Though I found that much of it comes from his comparisons to the original, and his notion that the new NSX should have stayed more true to its lineage. 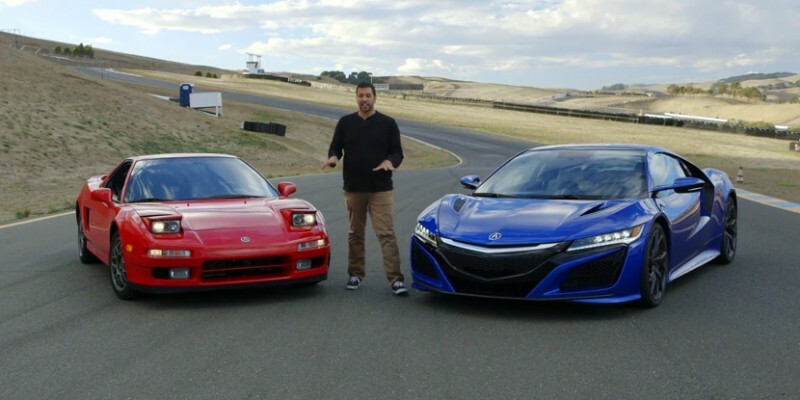 Check out Cammisa’s full review of the 2017 Acura NSX in the latest episode of Ignition below.